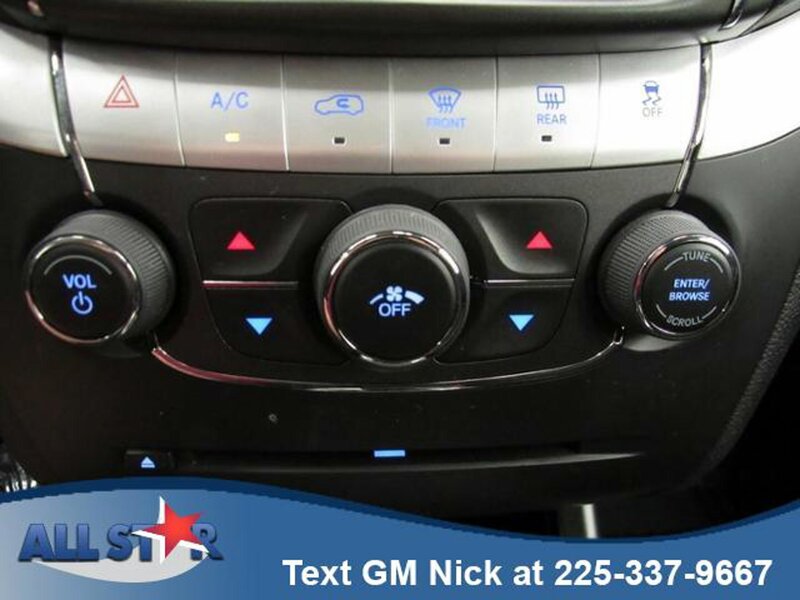 Third Row Seat, iPod/MP3 Input, Keyless Start, Dual Zone A/C. Keyless Entry, Privacy Glass, Steering Wheel Controls, Child Safety Locks, Electronic Stability Control. POPULAR EQUIPMENT GROUP Air Conditioning w/3 Zone Temp Control, Interior Observation Mirror, Leather Wrapped Shift Knob, Leather Wrapped Steering Wheel, CONNECTIVITY GROUP Radio: 4.3S, Uconnect Voice Command w/Bluetooth, Leather Wrapped Shift Knob, Leather Wrapped Steering Wheel, BLACKTOP PACKAGE Black Headlamp Bezels, Wheels: 17" x 6.5" Aluminum w/Blacktop Package, Gloss Black Grille, ENGINE: 2.4L I4 DOHC 16V DUAL VVT (STD), TRANSMISSION: 4-SPEED AUTOMATIC VLP (STD). Dodge SE with Billet Clearcoat exterior and Lt Frost Beige/Black interior features a 4 Cylinder Engine with 173 HP at 6000 RPM*.